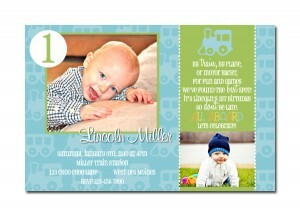 Here are two great spring-themed invitations. 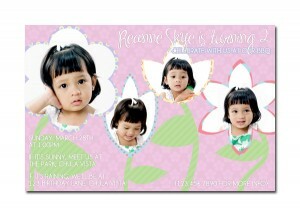 The 4 photos can be used to show your baby growing up from birth to present, or just showcase your beautiful photos. Need something for Easter? I can make that, too! A Day at the Carnival! This is just one of many designs I can create for a carnival theme. 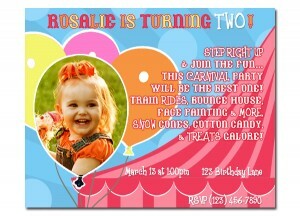 If you’re having a circus or carnival party and haven’t found the perfect invitation, email me directly and I’ll design one just for you.